Writers tend to roam in packs and for years (decades, really, for we aren't so young anymore, are we?) I've run alongside my dearest friend Sarah Faber. She's always had a love for writing and a willingness to learn and grow and hone her craft; she's taught me so much about what true commitment to writing looks like. So I'm insanely thrilled that her beautiful, haunting novel LIGHTNING TO THE CHILDREN has been picked up by M&S in Canada and Little,Brown in the US. It's not surprising, but it's fabulous news nonetheless. Just wait until you read this book. Sarah will leave you in awe with the simplest turns of phrase. The story is gorgeous and her writing stuns. She is a monumental talent. I've known that for years and now the world will know it too! Read all about her deal(s) HERE. 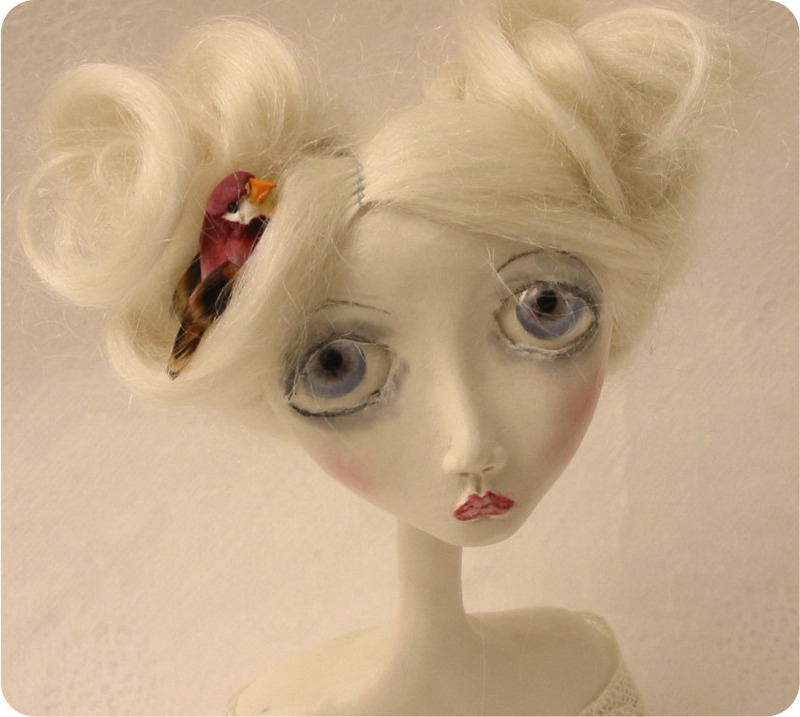 (On top of her beautiful, haunting writing, Sarah also makes beautiful, haunting dolls like the one below. Read all about them HERE).